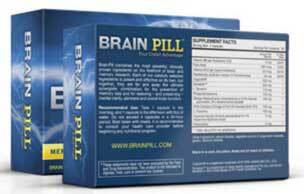 Brain Pill is not the most imaginatively named nootropic supplement, but it boasts a such a strong formulation of ingredients it’s a hard product to knock. According to the manufacturer (Leading Edge Health), customers who buy Brain Pill, and take one pill per day, will be rewarded with increased mental stamina and cognitive abilities that will give them an “unfair advantage” and allow their minds to outperform those of people half their age. The pills are manufactured in Canada and a quick check of the formulation shows they contain some of the most respected nootropic ingredients available today. We are also impressed to see Leading Edge Health back up their claims for the product with a 100% satisfaction guarantee. The Brain Pill is available exclusively from it’s own official website. It ships all over the world. Ability to process information faster and increase productivity. Huperzine A: A compound sourced from club moss. Several studies, including one conducted at the University of Beijing, suggest Huperzine can boost cognitive abilities. Cognizin: A proprietary blend of citicoline. Research shows supplementation with Cognizin can an effective way to improve attention. Synapsa: A standardised bacopa monneiri extract that is a scientifically proven memory booster and is known to be particularly good for improving learning abilities. Vinpocetine: A periwinkle extract that stimulates vasodilation and helps feed the brain with an increased amount of nutrients and oxygen. This results in a better memory and improved cognitive abilities across the board. Gingko Biloba: Research carried out in Great Britain shows Gingko Biloba has the ability to support improved memory function. DHA Complex: A chemical that is needed to support brain growth during infancy and remains essential for healthy brain function throughout the later stages of life. Phosphatidylserine: A versatile compound that is often used for treating Alzheimer’s disease and rectifying age-related impaired mental function. Phosphatidylserine is also used for boosting the thinking power of young people suffering from attention deficit-hyperactivity disorder (ADHD). Tyrosine: An amino acid that boasts proven stress-fighting abilities. Several studies also show supplementation with L-Tyrosine also boosts cognitive function. L-Theanine: An amino acid that can be sourced from green tea. L-Theanine is well-respected for its ability to boost alertness while also exerting a calming effect on the mind. Pantothenic Acid (Vitamin B5): A vitamin that is required for efficient neurotransmitter activity. Vitamin B9 + Vitamin B6: Some people are naturally deficient in these two important B vitamins. A lack of either one increases the likelihood of depression, so their presence here is not without value. Vitamin B12: A sufficient supply of Vitamin B12 is necessary for a sharp mind, but experts say 25% of people are B12 deficient. 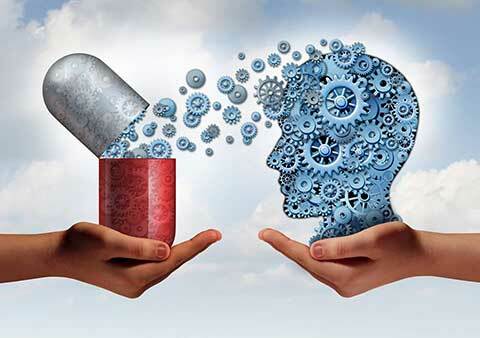 How to Use Brain Pill – Only one pill is needed per day. 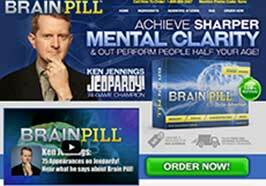 We could not find any customer reviews, but Brain Pill carries the endorsement of the surgeon and anti-aging expert, Dr Dave E David MD and is also recommended by the Jeopardy quiz show champion, Ken Jennings. Dr David is one of the medical experts Fox News and CNN turn to when they need clarification on medical matters; so he’s a well-known celebrity in the USA. The Brain Pill website contains a video of Dr David explaining the benefits people taking the pills can expect. He has been practising medicine for over 35 years, and has been a media adviser for more than 20 of those years, so it seems unlikely he would risk sullying his reputation by endorsing any product unless he was 100% confident in its abilities. Ken Jennings also has a reputation to protect, so his recommendation is equally valuable. No side effects have been reported, but any woman who is pregnant or nursing a child would be wise to seek a doctor’s advice prior to taking any brand of dietary supplement. The same advice is offered to people who have existing health problems and to anyone using medication. 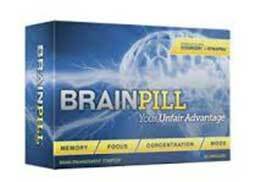 Brain Pill is a very impressive product for a number of reasons. First of all the manufacturer has chosen to pay a little more and use some of the best brain boosting ingredients available, like Cognizin and Synapsa. Their refusal to resort to penny-pinching is one of the factors that has allowed them to create such a superior product. That fact that Dr David and Ken Jennings are happy to endorse the product is also a big point in its favour, and the presence of a money back guarantee ensures customers can buy secure in the confidence they have nothing to lose. 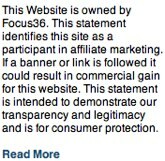 A guarantee like this is not offered without good reason and it doesn’t take an Einstein to figure out what that reason is— Leading Edge Health are confident their product will work. We share that confidence and are more than happy to add Brain Pill to our list of recommended products. A 30-day supply of pills costs $105.15 from the official website only. Bulk-buy savings are available, and customers are offered a 67-day money back guarantee.